Imóveis à venda para moradia nos Estados Unidos. 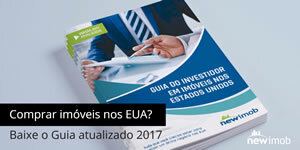 Encontre o seu imóvel ideal com a Newimob! Wow! Sellers have meticulously maintained this home and it is updated all throughout! Large screened in tropical pool area. Beautiful decking leads from enclosed patio to the screened in patio. New kitchen, new flooring, updated bath, oversized and updated kitchen floor plan flows into the family room and foyer. Larger tiles everywhere except bedrooms are new. Bedrooms have a high end laminate. There is a large back bonus room off the kitchen with a pass through. Two sliders at the back of the home-one leads to the enclosed porch and one leads to the screened in pool area. Fully fenced in yard with plenty of room for a dog to still run. Updated hurricane rated windows throughout. Home warranty already purchased through sellers good until 2/14/20. High and dry and not in a flood zone. A true must see to appreciate! RARE OPPORTUNITY TO OWN A CHARMING HYDE PARK BUNGALOW BUILT IN 1926. 2/1 + GOURMET KITCHEN + PRIVATE YARD. This beautiful Bungalow is located in the “Bungalow Terrace” area of Hyde Park; WALKING distance to the Newly updated Hyde Park Village (lots of Restaurants, Stores, Movie Theater, Bars, etc) and just 7 blocks South to Bayshore Blvd. Updated in 2012-2013, while maintaining some of the original materials like flooring, windows, exterior wood and UPGRADING others like Roof, Plumbing, water heater, Electric, Kitchen, Bathroom, attic Insulation, Refinished floors, interior/exterior paint, light fixtures, A/C, Air Ducts, Custom window treatments, Custom landscaping with outdoor LED lights, sprinklers, 1,100+ square feet of pavers, outdoor kitchen with granite and stone veneer. Top Rated School District to include Mitchell Elementary, Wilson Middle and Plant High. This Bungalow was featured in the Hyde Park Home Parade in 2015. It shows pride of ownership, meticulously maintained and it will not disappoint. NO flood insurance or HOA with this home. Great corner unit excellent location completed upgraded , close to everything excellent school no age restriction , and no rentals restriction. Beautiful 2 bedroom 2 bathroom totally remodeled with all City permit required. Nothing like this in Palm Aire all furniture is include in the sale.Stainless steel appliances granite counter top. Lots of storage. All impact windows and door . New a/c . Looking for the best this is the one. Ready to move in. All the furniture is included in the sale. Nice view on the golf course "The Oaks" number 6. Condo 11 is the best well maintained community in Palm Aire. 24 hours security patrol on site. Nice close to the building heated pool with BBQ cooking area. Nice condo at The Palm Bay Yacht Club. The unit has 2 bedrooms and 2 bathrooms and a wrap around balcony. Top-notch amenities include tennis courts, pool, 24 hour security, fitness center, and much more. come take a look today. Welcome Home! This 3 bedroom, 2 bath home, spacious and updated is move-in ready and just waiting for you. A hidden gem located off Mount Plymouth near Rock Springs. You’ll enjoy easy living with no HOA but close access to Rock Springs restaurants and retail, plus, it&apos;s conveniently located near the 429 whether you desire to commute to work or play. This ranch style home has everything you are looking for from the large front porch, to the open floor plan,and oversized backyard with a pasture view. Beautiful wood floors throughout, split floor plan with carpet in two spare bedrooms. Need a mud room and HUGE pantry this home also has for laundry and storage. Entertain in the open concept floor plan with living dining flex space with additional dinette off the kitchen. The kitchen is equipped with beautiful dark cabinets, granite countertops,with large extended breakfast bar and updated appliances. The master bedroom has plenty of space for all your furniture plus large walk in closet for storage. Don’t worry the bathrooms have been updated as well with a bonus garden tub in Master Bath and stand up shower. With a gorgeous enclosed back porch you can sit enjoy the fenced backyard that over looks a peaceful pasture. Don’t delay this dream, won’t last! Schedule your showing today! *** 2 homes in 1 *** Cash or Conventional ONLY *** This 2 bedroom 1 bath 900 sq. ft. home *** ALSO *** has a complete 280 sq. ft. efficiency housing a 1 bedroom 1 bath apartment. All of which is walking distance from the Zoo at Lowry Park. The home offers solid wood kitchen cabinets, an eat-in space in the kitchen and tile in living and dining areas. The updated bathroom has decorative tile throughout. The efficiency in the back with private entry has a remodeled bath that make for a perfect income property/in-law suite or whatever your needs are. HUGE fenced backyard is great for entertaining, or storing your toys. The driveway was enlarged for additional parking and accessing the rear of the property. Previous MLS listing shows New Roof in 2005 and Updated Electrical in 2003. Come see this home today! Seller has never occupied property. PROPERTY SOLD "AS IS" WITHOUT REPAIR OR WARRANTY. SELLER HAS NO KNOWLEDGE OF PROPERTY HISTORY, NO DISCLOSURES OR ASSOCIATION DOCS SUPPLIED. BUYER/BUYER&apos;S AGENT IS RESPONSIBLE FOR VERIFYING HOA INFO & FEES, IF ANY, COMMUNITY RULES, SQ FT, LOT SIZE, ROOM DIMENSIONS AND TAXES. Mid century pool home with terrazzo floors located in the “South Terrace”. This home features a New Roof in 2016, New AC in 2011 and a brick front exterior. A welcoming foyer invites you into the family room that has open views of the pool area. Living room has French doors from the foyer and leads into the dining area. A small kitchen has access to the inside laundry room and exterior door to the carport. Enjoy your outdoor oasis with pool, patio, lots of wood decking and kids play area with 2 slides. Also included is a large shed with a shingle tile roof and open covered space. Features include terrazzo floors throughout most of the home. Once polished, these terrazzo floors could add significant value and a big wow factor to this home. The kitchen and bathrooms are all original and are reflected in the list price. Parks and public boat ramp to the Hillsborough River are less than a block away. The Recreation Center is nearby and offers many activities for all ages including a new state of the art fitness center. A complimentary 3-month membership is included to the Temple Terrace Golf and Country Club only a short distance away. Outstanding Charter Schools, plus 2 International Baccalaureate Schools. Close proximity to USF and area hospitals. Only 20 min. to downtown Tampa. Freshly painted inside out along with a brand new AC system is this comfortable 4 bedroom 2 bath 2 car-garage pool home located in the peaceful Wrenwood Subdivision. Walking up to the home you will enter through the double door entrance. Once you step inside you will feel the warmth of the natural light creating a lovely ambience. You have a separate living room and dining room. The dining room window has a view of the pool and interconnects into the kitchen. Your kitchen has granite counter-tops, a breakfast bar and flows seamlessly into the family room. Sliding glass doors open up from the family room onto the open patio and in-ground sparkling blue swimming pool. Thus giving you the perfect space for entertaining. Your fenced backyard has mango fruit trees and allows you the option to have a family dinner and relax under the stars. The perfect location with A+ schools and convenient to the 417 Toll Road, along with a variety of shopping, services and restaurants. This home will check all of your boxes! You’ll have plenty of room in this large, 4 bed, 3 bath plus den home. You’ll enter to beautifully offset 18” tile flooring and lush, dark hardwood floors in the den. The large, bright and airy living room is open to the kitchen and dining area, perfect for entertaining. You’ll be blown away by the stunning, modern kitchen with lavish, gray quartz, a HUGE island counter-top, and marble back-splash. Slate gray appliances perfectly compliment the finishes. Your master retreat welcomes you with a large walk-in shower and separate, dual sinks. Open your pocket sliders and step out onto the screened lanai to relax and enjoy your large, fenced yard, perfect for family or pets! A preserve view offers plenty of privacy. A few other features include epoxy floors in the 3 car garage, hurricane shutters, crown molding and tray ceilings, high baseboards, and floor outlets in the family room. Conveniently located close to I-75 and SR-64, River’s Reach offers resort style amenities including a large pool, hot tub, fitness center, sand volleyball, playground, walking trails, picnic areas, and a kayak and canoe launch. Live the life you deserve in a home that makes your heart happy! VERY UPGRADED AND FULLY FURNISHED VACATION HOME. Great location with no rear neighbors and south facing pool. Very quiet and private! View from patio and private pool to green lawns and trees. The home is professionally decorated and has upgraded marble floors and contemporary bathrooms. Flat screen TV in all bedrooms and living room, ceiling fans, ready for rentals. This beautiful 5 Bedroom/5 Bath Vacation Villa with Heated Splash Pool with spa and screen enclosure has 2 Master Suites. Located in the private gated resort community of Paradise Palms; just 10 minutes from Disney! This stunning villa was designed for luxury and has granite counter tops in the Kitchen and Bathrooms, clean stainless steel appliances, Wood Cabinets and marble tiles throughout the first floor. This decorated home includes all fine quality furnishings, linens and wares. Spend your days relaxing at the 9,500 square foot Club House featuring a Tiki Bar & Grill, waterfall resort style pool with a grotto/spa and a pool slide for the kids. A separate children&apos;s pool, movie theatre, game room, internet lounge, basketball court, tennis court, state-of-the-art fitness center & sauna, market, deli, beach volleyball and more. HOA fee includes resort amenities & staff, plus townhome cable, internet & phone, townhome&apos;s exterior care, pest control and Insurance. Paradise Palms Resort is zoned for short term rental and has a 24 hour manned security gated entrance. When you get into this property you will fell like home. It has 3 bedrooms a bonus room, 2 baths and 2 car garage. The master bedroom connects to the bonus room that can be used as nursery, office or gym. Brand new 4.5 tons AC replaced on 2018. Bedrooms and bonus room have brand new premium quality title. Electric and Braker Systems also replaced on 2018. Attic surface covered all with plywood and new attic door and stair. The master bathroom recently updated. Enjoy the tranquil fully fenced backyard with your friends and family. Easy access to major highways. This Landsbrook Kylemont Subdivision pool home shows like a model home with all the upgrades recently done including new roof in 2017,newer Ac, all newly redone bathrooms with very modern designs ,new kitchen with smart stainless steal appliances, from the new impact front door to the matching chandelier on the hallway owner did not spear any expenses on this house even the pool was resurfaced recently. this house is a split floor 4 bedroom 3 bath 3 car garage with a den or office a true open design with kitchen and breakfast nook overlooking the family area and the pool. Lansbrook offers a nice park on Lake tarpon, a Golf club, and its located close to YMCA, walking trails ,playgrounds, soccer field and top rated schools in Pinellas county area. This fantastic updated home it perfectly sited on almost 1/4 acre elevated lot on a cup-de-sac in one of the best locations in the neighborhood. A great peaceful setting with peak-a-boo views of the lake as you walk or your children play on one of the quietest streets in the community, Home boasts a great split floor with vaulted ceilings and a bright, airy feel. Recent updates including a full bathroom remodel on 2018, newer floors, recent master bath updates, new stainless steel kitchen appliances in 2017, exterior painted 2019, new roof 2010 and 2009 AC was refurbished in 2019. This is a pristine, move in ready, worry free home that has been lovingly cared for and very well maintained. Private master is on one side of home and two bedrooms and additional full bath on the other. Large living room with vaulted ceilings flows perfectly out into the screened lanai making this a natural extension of the indoor living space. Large fenced back yard is perfect for pets, children and family activities. You won&apos;t find a better home at this price in such a great, safe and quite location. Minutes from the West Orange Bike Trail, Ocoee shopping, Forest Lake Golf Club, DT Orlando as well as the Old Winter Garden Town Center & easy access to all major connectors & Attractions. This is a great, well designed, updated ,move in ready home in a great location! Beautiful furnished, corner unit with wrap around balcony on the 22 floor. Enjoy bay, city, & pool views. Large walk-in closet, wood floor, open kitchen with stainless steel appliances & granite countertops. 1 assigned parking space included with this spacious 2/2 in the heart of financial center in Brickell. Sound proof, impact windows. Building amenities include 2 pools, Jacuzzi, sauna, fitness center, steam room, clubhouse, BBQ area, 24 hr concierge & valet. Walk to work, fine restaurants, trendy shops, world-class hotels. Short walk to Mary Brickell Village & Brickell City Centre & vibrant night life. Easy access to public transportation, I-95. Minutes from the Miami airport & South Beach. Cable, Internet, water included in HOA fee. LOW MAINTENANCE FEES! Priced to sell!! Beautiful furnished, corner unit with wrap around balcony on the 39 floor. Enjoy bay, city, & pool views. Large walk-in closet, wood floor, open kitchen with stainless steel appliances & granite countertops. 1 assigned parking space included with this spacious 2/2 in the heart of financial center in Brickell. Sound proof, impact windows. Building amenities include 2 pools, Jacuzzi, sauna, fitness center, steam room, clubhouse, BBQ area, 24 hr concierge & valet. Walk to work, fine restaurants, trendy shops, world-class hotels. Short walk to Mary Brickell Village & Brickell City Centre & vibrant night life. Easy access to public transportation, I-95. Minutes from the Miami airport & South Beach. Cable, Internet, water included in HOA fee. LOW MAINTENANCE FEES! Priced to sell!! Breathtaking, newly renovated 1 bedroom, 1 bathroom condominium for sale in the heart of Central Lake Mary! Enjoy living in the desired Regency Park community that features gorgeous scenery, a community pool, tennis courts, and clubhouse. Features include: Energy Star Rated Stainless Steel Appliances, LED Lighting, WaterSense Plumbing Fixtures, Granite Countertops, Spacious Layout. Unit is currently occupied at $899/mo, expiring 08/2020. Do not disturb resident. Hurry! This home won&apos;t last! MILLION DOLLAR VIEW for only $429K!! Check out this Breathtaking RIVERFRONT 3 LEVEL home located on the WIDEST SECTION OF THE HILLSBOROUGH RIVER, where you can waterski right behind your home!! The 1ST LEVEL has a kitchen, formal dining, living & family rooms, and a COVERED AND SCREENED PORCH. The 2ND LEVEL features 4 bedrooms and 2 baths, plus a COVERED PATIO and OPEN AIR DECK! The 3RD LEVEL IS THE PENTHOUSE MASTER SUITE with a 3 SIDED OPEN AIR DECK!! 2 CAR GARAGE plus a WORKSHOP AREA Underneath. Truly a UNIQUE HOME with a weekend cabin like feel on a PICTURE PERFECT RIVER LOT close to USF, and only a quick commute to Downtown Tampa. The Gated Community of Approximately 450 Executive Style Homes has two playgrounds, a soccer field and basketball courts.Ivy Lake Estates assigned to Odessa Elementary school, charles Rushe Middle School and sunlake High School .The neighborhood is surrounded by Shopping,restaurants,entertainment ,places of worship,and recreation.It boasts no CDD Fees and low HOA Fees.The community is located in Odessa,Fl.Odessa ia a long,Narrow Town that runs north-douth,and spans across 2 different counties.Most of Odessa residents still have the convenience of being located close to Tampa and the Beaches,especially because of their close proximity to the suncoast Parkway (RT 589),But also because they are Pasco residents ,they benefit from less expensive taxes than their Hillsborough counterparts.